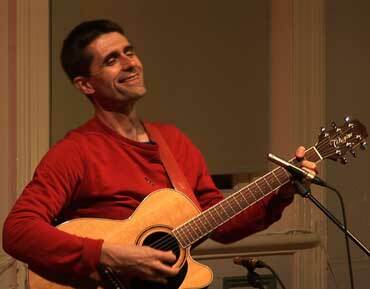 JAM - NSW Folk Federation :: Brett Robin Wood at North By Northwest! Brett Robin Wood at North By Northwest! Australian Artist Brett Robin Wood's live performance has been described as "Charlie Chaplin meets Leonard Cohen". There's spontaneity, humour and a bunch of catchy tunes that speak of the curious ways of the human heart and the crazy maze of the mind, shedding light on the human experience. Think Billy Bragg, Jonathon Richman, Loudon Wainwright, Paul Kelly, Steve Poltz, Lou Reed, They Might Be Giants, The Shins, Ron Sexsmith, Papas Fritas, Talking Heads and you're in the musical territory. Brett Began his performance adventure as an actor/writer/musician in community theatre, touring regional areas of NSW researching, writing and performing shows relevant to the area. He went on to work in professional theatre in Australia and Overseas, including shows for the Sydney and Adelaide Arts Festivals. Brett is a twice NSW champion theatresports player and also performs in the improvisational theatre show "160 Characters", which played sell out seasons in 2005 at the Sydney Comedy Festival and the Melbourne International Comedy Festival. 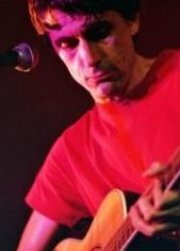 Brett’s a regular at Sydney venues including The Side-on Café, Cabaret Voltaire, the Cat and Fiddle, the Harp Irish Pub, the Sandringham, the Vanguard, Cafechurch, and most recently, the Loaded Dog. He knows the power and pleasure of language. 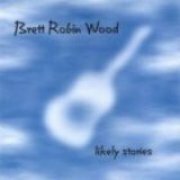 Engaging, touching and often very funny, when Brett Robin Wood's evocative tunes come to land in your psyche, you'll be left smiling in celebration of what it means to be human. North By Northwest Poetry and Folk Club meets in The Cornucopia Cafe, and is one of the best acoustic venues in Sydney. Refreshments are available and BYO's are welcome. For directions see this article.